Laphroaig 15 yo – 200th anniversary edition! 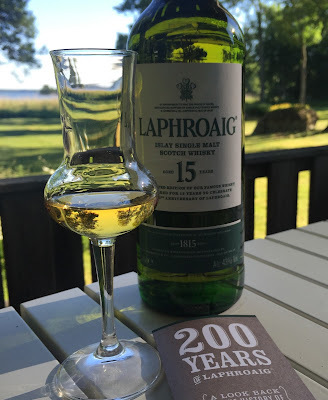 In celebration of 200 years of Laphroaig, they decided to bring back the 15yo, which was discontinued in 2009 in favor of an 18 yo, which will instead be discontinued (in 2016) in favor of the 15 yo coming back… sounds complicated? 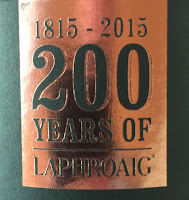 Well, never mind that, let's just try the new limited edition 200th anniversary 15yo (I know it's complicated…). Anyways, it holds 43% ABV and I guess it is only, or near to only, matured in bourbon barrels. Wow, I did not expect this… extremly calm and almost anonymous in comparison… almost no peat at all (!) there is a handful of vanilla though. The only exotic fruit that I pick up in this one is a very, very distant peach, maybe a touch of overripe banana or something like that. Other than that, in comparison with the new one, this is as calm as the night on a windless night. The new one is an explosion, yes an explosion, of scents on the nose… Ok, let’s see what the new on tastes like! Compeltely different! At least when it comes to the first seconds/the first experience. The old one is not as elegant and soft/polished, but rather more ”out there”! The opposite of it’s nose that is… Very funny, a strange experience. Compared to the palate of the new one, the old one is as I said more out there, ”lots” of peat and kind of rugged, but sadly it does not have much of the elegant and soft side which is so nice and chewy/more-ish with the new one… The aftertaste of this old version brings something to mind that has to do with sherry-influence, maybe dried figs… other than that it’s kind of agressive on the aftertaste (in comparison at least), and also somthing quite green/herb-y. I would not really say that I would like to pick the nose from one and the palate from one to make an ultimate combination, because it’s so much about what mood you are in from time to time, and what kind of scents and tastes you would like to experience in a particular moment so I really don’t think that I can pick a combo of the two. But for now, during this beautiful summer day, I will go for the new version with it’s elegant nose and its more-ish palate! 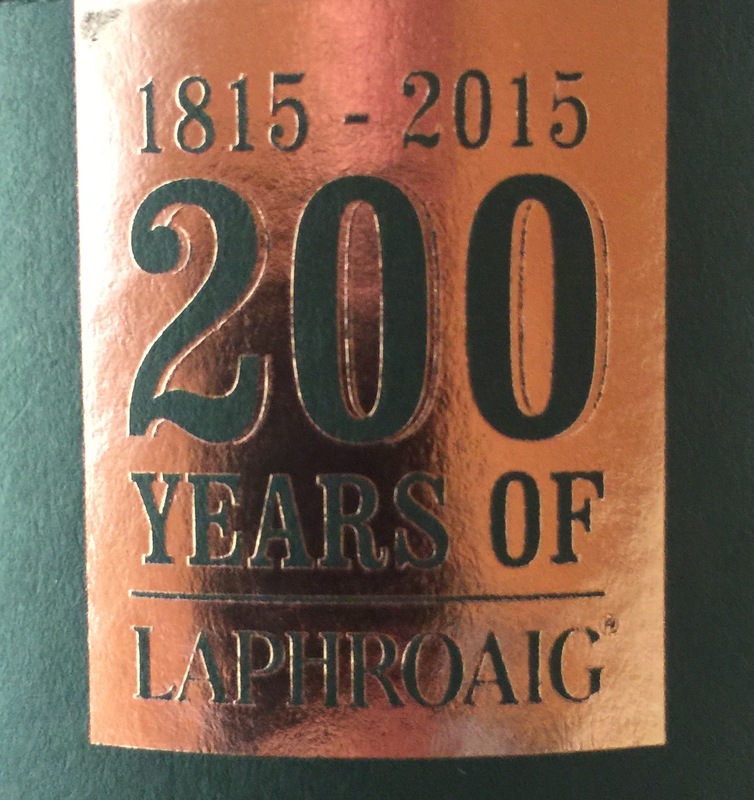 So Sláinte to 200 years of wonderful Laphroaig, and here’s to 200 more!